In addition to the physical benefits of regular exercise, being active has been shown to improve cognitive function in older women. A study published in The Journal of the American Medical Association suggests that regular exercise could help ward off dementia. You’ve certainly heard it before, but it’s time to take this tip seriously. 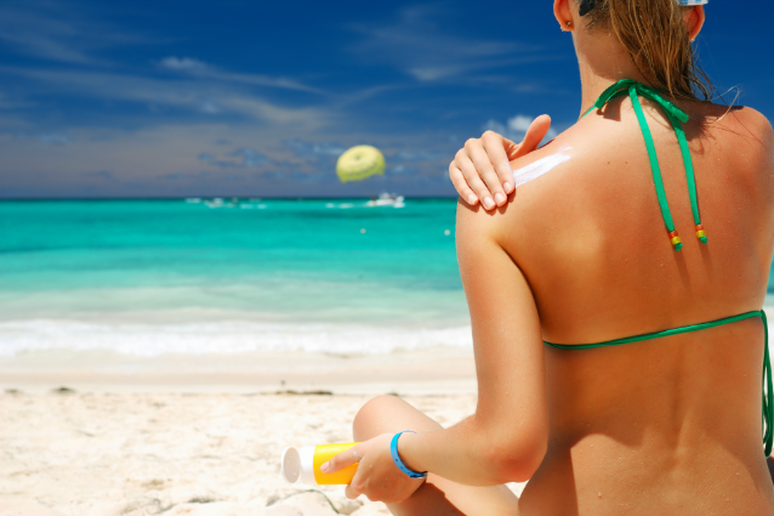 Not only does ditching the sunscreen make you look older, but it frequently causes skin cancer. Skin cancer is the most common of all cancers, affecting more than 3.5 million people each year. Melanoma, the most deadly type of skin cancer will affect 76,000 people in 2014, according to cancer.org. Researchers at Brooklyn College found that a few cups of coffee could significantly lower the risk of fatal cardiovascular disease. The study took place over the course of 10 years and followed 1,354 elderly subjects; those who drank caffeinated coffee were about 50 percent less likely to suffer fatal cardiovascular disease or heart valve disease. A study done by the University of Maryland found 15 minutes of laughter a day can be beneficial to your health. During their research, they observed volunteers as they watched a comedy and a drama. During the comedy, the subjects laughed and blood flow improved 22 percent, during the drama, blood flow decreased 35 percent. Changes to blood flow lasted 30 to 45 minutes after the test was over, leading researchers to believe that a little extra laughter each day can lead to better cardiovascular health. “Not drinking enough water can be as harmful to your heart as smoking,” said Dr. Jacqueline Chan the lead researcher and author of the study published in the American Journal of Epidemiology. Chan and her team of researchers at Loma Linda University found that drinking five or more glasses of water per day significantly lowered the risk of suffering a fatal heart attack in both men and women. Researchers at Tufts University reported that weight lifting could help prevent and reverse muscle and bone loss. A strength training regimen could also help relieve arthritis pain, improve sleep quality and reduce the number of general injuries. A recent analysis published by the Mayo Clinic suggests that elite athletes live longer than the rest of us. Notably elite athletes are less likely to die from cardiovascular disease or cancer, two of the top causes of death in the U.S. The analysis included ten different studies and a total of 42,807 elite athletes—their classification for “elite athletes”—professional athletes or Olympians. Researchers at Queen’s University in Canada have found that even small bouts of moving, such as vacuuming or carrying groceries up stairs, can be beneficial to heart health and overall fitness in the long-term. Their study followed 135 obese men and women using accelerometers to measure the duration and intensity of movement. They found intensity was the more important factor for seeing benefits than the total time spent moving. This tip should come as a surprise to absolutely no one, but it needs to be said. According to a study published in the New England Journal of Medicine, smokers die an average of more than ten years earlier than non-smokers. The good news—quitting before age 40 will significantly lower ones risk of dying from smoking-related causes. When it comes to our health, it seems our friends may be one of our best assets for fighting off mortality. An analysis of almost 150 studies published in PLoS Medicine found that people with stronger personal relationships were far more likely to outlive their lonely counterparts. Researchers looked at information on more than 300,000 individuals who were followed for an average of 7.5 years and they said the health risk that comes with being socially disconnected was as bad for your health as smoking 15 cigarettes a day and even more dangerous than being obese.